As you probably know, Google regularly updates its core algorithm in order to provide a better search experience for its end users. In a given year, thousands of these updates may occur. The vast majority of them are small tweaks that are undetectable to the average user or the average website owner. However, some of these updates are major overhauls of the way that Google’s algorithm operates. The effects of these types of updates are immediately detectable and require website owners to make immediate adjustments to their content. The last major algorithm update that Google rolled out was named “Hummingbird”, so named because its purpose was to make search results fast and precise. What Is Google’s Hummingbird Algorithm? Hummingbird is important because it fundamentally changed the way that Google sorts through the billions and billions of web pages in order to return a search result that is meaningful to the end user. To understand the importance of the Hummingbird update better, think about Google’s search algorithm as a computer or similar device. When the computer is new, the processor is utilizing the latest technology to optimize speed and performance. However, as time goes by and that technology gets older and the processor begins to show its age. It’s no longer on the cutting edge and it’s best performance is simply not up to today’s standards. The processor can no longer be tuned or tweaked to improve performance. Current technology has rendered it obsolete and the only option is replacement. With Hummingbird, Google essentially replaced the engine of their algorithm. How Does The Hummingbird Algorithm Affect Your Rankings on Google? Rather than focusing on individual words, Hummingbird instead focuses on entire search word phrases in order to determine relevance. Google describes this process as “conversational searching”. It goes without saying that Hummingbird changes the way Google ranks a website. Individual keywords are no longer as important as they once were when it comes to search results. Now, websites that match the meaning of a search phrase automatically do better than sites that only match a few words within that phrase. The days of stuffing a piece of content with awkward keywords and calling it good are over. 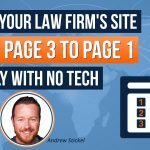 In this post, we’re going to take a look at the ways you can optimize the content on your firm’s website for Hummingbird and easily outrank your competition in a Google search. So, for example, let’s say that you’re a criminal defense attorney in San Diego. 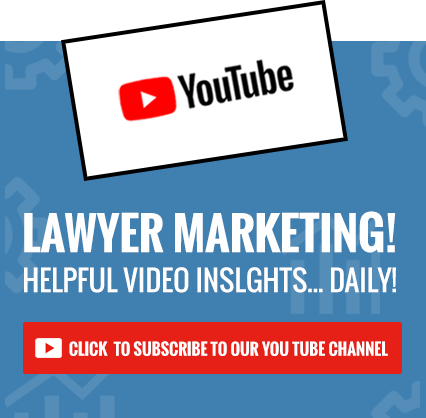 What you want to do is build your content around the relevant search phrases that are most used by your target audience when they’re searching for a lawyer in your specialty. So, to begin with, you want to use a keyword tool that will give you an in-depth look at the phrase matches and additional keywords that are related to the initial search phrase that you decide to use. I recommend Semrush as a keyword tool. 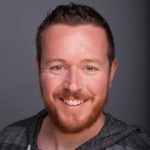 It’s robust and it’s going to quickly give you the deep data that you need to discover the best keyword phrases to begin building your content around. 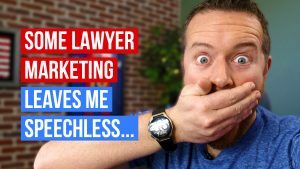 It’s a $95 a month investment, but the information that it provides will help you to outrank you competition and begin generating warm leads for your practice. 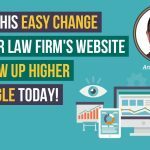 You land one client because of your optimized content and Semrush will essentially more than pay for itself. So, you open up the Semrush keyword tool and you start thinking like one of your potential clients. So using our example, if someone in the San Diego area wanted a criminal defense attorney, what would they search for? Let’s say they’d search for “San Diego criminal defense lawyer”. You type that into the keyword tool’s search bar and hit enter. Semrush will generate a report with a list of phrase match keywords and related keywords tied to your search term, as well as the organic search volume for each keyword. At this point, we’re trying to build content around keyword phrases that people search for, so we’re going to focus on the related keywords provided to us in the report. Click on the full report button below the related keywords and Semrush will produce a full list of all the keyword phrases related to your original search term. You’ll notice that once that list has been produced, each keyword is followed by several categories of information. Right now, all we’re interested in is the relevant keywords that get the biggest search volume each month. Therefore, you want to sort the list of related keyword by volume of searches. So, go ahead and click on the header at the top of the volume column to sort the keywords in descending search volume order. Now, your related keyword phrases are ranked in search volume from highest to lowest. You want to go through the list and start copying and pasting the higher ranked keywords that are relevant to your original search term, along with the monthly search volume for each keyword. 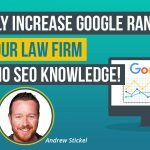 In general, you want to pull any keywords that are closely related to your original search term that have a monthly search volume of at least 200. 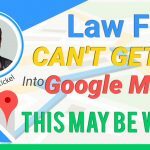 So basically what we’ve done here is taken an educated guess at what the average person who needs a criminal defense lawyer in San Diego will type into Google. 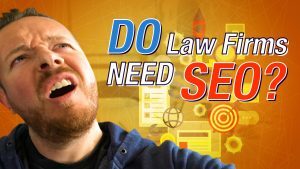 We then ran that search term through the Semrush keyword tool and found that the majority of people in San Diego who need a criminal defense lawyer search for “San Diego criminal defense attorney”. Therefore “San Diego criminal defense attorney” becomes our main keyword as we go forward. The next step is to take that main keyword and type it into another keyword research tool like Keyword.io. Keyword.io is free, all you have to do is register for an account and you’re good to go. Keyword.io looks at Google auto-suggest and Google suggested searches and gives you back search terms that are related to you main keyword. 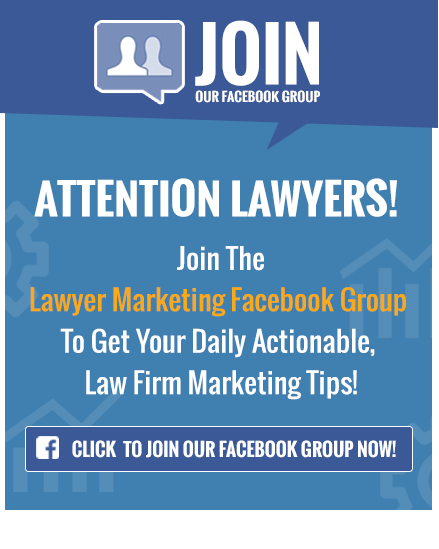 This additional information gives you even greater insight into what people are actually searching for when they look for a criminal defense attorney in San Diego. You’re sure to find some things that you may not have thought about or considered. What we’re looking for is additional words or additional ways that people phrase a particular search. Obviously, we’re not going to produce content that uses the phrase “San Diego criminal defense attorney” 42 times. 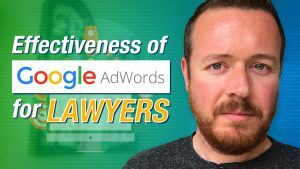 What we’re trying to do is get an idea of what phrases people actually entered into Google when looking for a criminal defense attorney and what Google suggested back to them. Google is your best resource tool. If you can figure out what people in your target audience are searching for, you can then address the underlying issues and needs contained in the search phrases. That is the kind of content that will rank your site on the first page of the Google search results. So, you want to go through the results that Keyword.io generated and add the relevant suggested searches to your text document. Next we want to go to Answerthepeople.com, which is a free site that basically gathers questions that people have entered into Google search. You enter your main keyword and Answerthepeople.com will produce a report divided into three sections – Questions, Prepositions and Alphabetical. The information in each section is available as a visualization, sort of like a data tree, and as straight data. We’re only interested in the data, so click that button for each section. Again, you want to go through and pull the relevant questions and prepositions that people are asking about your main keyword and put them into your text document. What we’re doing is building a list of keywords, topics and questions that Google already recognizes as relevant to the main keyword. We can then use the information on that list to create content that will also be immediately relevant and recognizable to Google. This means that we have to start reorganizing the information on the list, eliminating repetition and redundancy. You can’t use the phrase “criminal defense attorney” over and over. With Hummingbird, Google can quickly understand the thrust of your content with only one or two uses of your main keyword. Anything more than that and you’re going to get an over optimization penalty that will tank you site. This is a pretty natural and organic process. 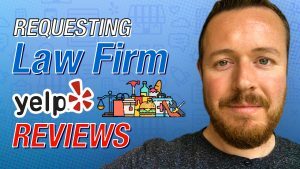 “Best San Diego criminal defense attorney” and “the best criminal defense attorney in San Diego” are essentially the same concept worded differently. The same holds true for “what does a criminal defense attorney do” and “what is a criminal defense lawyer”. As you start to group like with like and get rid of repetition, the list will shrink and become more manageable. 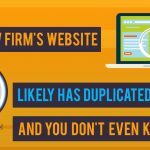 Could Your Law Firm’s Website Have Duplicate Content? 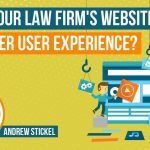 Is Your Attorney Website Considering User Experience?